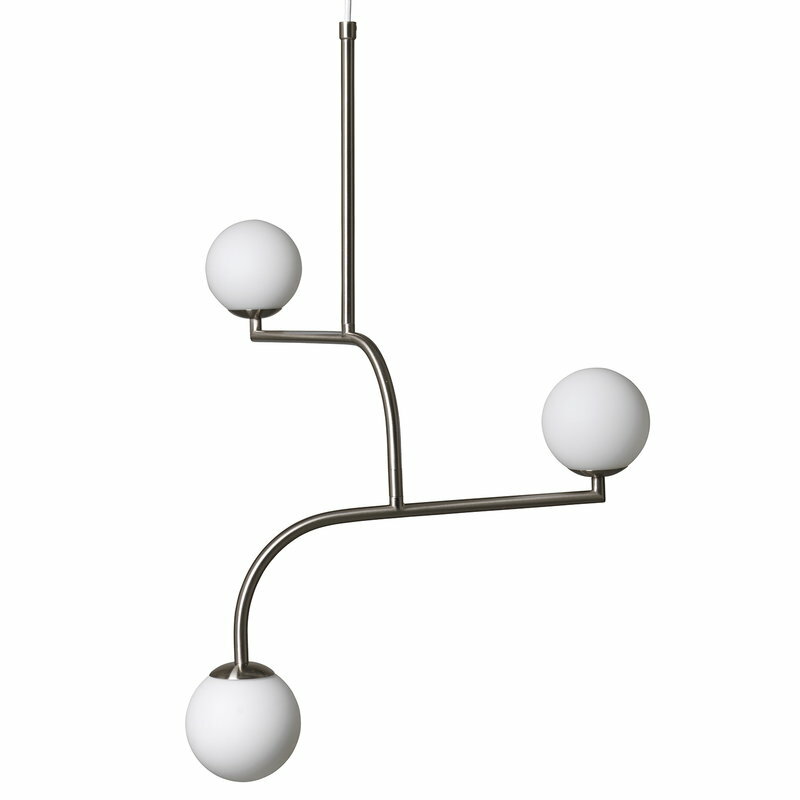 Pholc’s Mobil 70 pendant features three opal glass shades and two identical metal elements that can be turned around to create a desired composition. 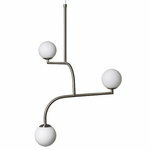 The elegant pendant is available in three finishes and will catch the eye with its beautiful mobile-like shape in any dining and living room. The Mobil collection was born when designer Monika Mulder was asked to design a lamp that would look good in a New York loft. 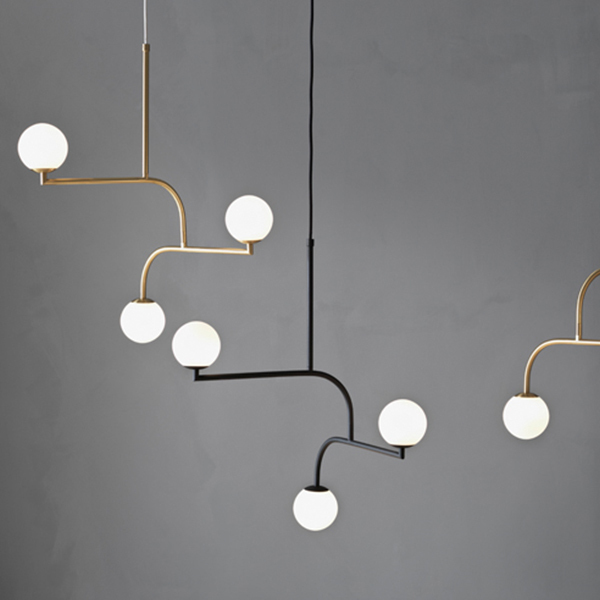 Inspired by the city’s classic balcony racks in black metal and the streetlights of Brooklyn Bridge, she composed the lights of metal tubes and round glass. In 2017, Mobil won the Elle Decoration Design Award in the category of Lamp of the Year. Monika Mulder (b. 1972) is a Dutch designer who graduated from Design Academy Eindhoven in 1997. Mulder started her career at the design department of IKEA, and since 2007 she has run her own design studio in Gothenburg, with customers such as the design lamp brand Pholc. In her design, Mulder emphasizes the sculptural elements of objects, and wants to combine smooth functionality with beauty and playfulness. 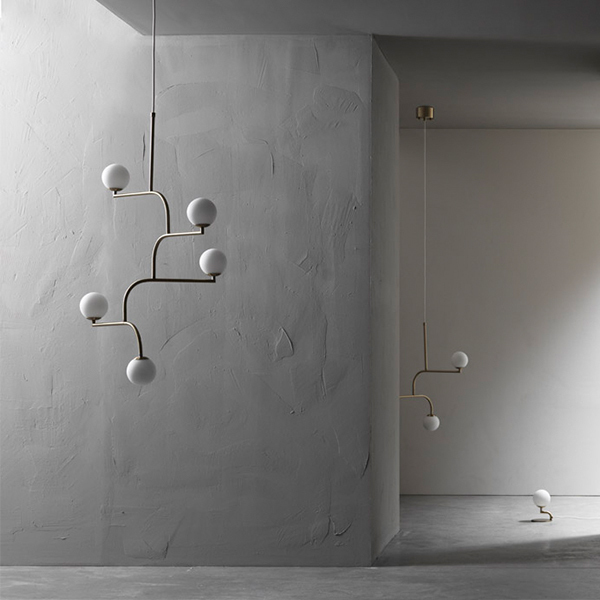 Mulder’s work has been awarded with prizes such as the Best Furniture of the Year 2003 and Best Lamp of the Year 2017 in the Elle Decoration Swedish Design Awards.